Comments for I loved my Herxing with Colloidal Silver! 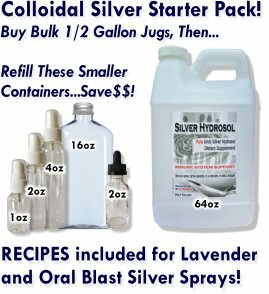 The Herxheimer Reaction I had and those around me had when I purchased the same silver generator that we still use today convinced me that ionic colloidal silver hydrosol was very, very special! From there it was apparent that the colloidal silver market needed an affordable supplier of top quality products and that became my mission, to fill that void.